The award winning Axolotl Concrete has expanded the potential for concrete surfaces in design since it was introduced in 2011. One recent project which has really stood out to us is this Sydney residence designed by Handelsmann + Khaw, using the Slate Pseudo Smooth Axolotl Concrete. Axolotl's Slate treatment is incorporated throughout the design on the balustrades and cabinetry, complemented with subtle brass accents. The design is restrained, whilst leaving an impression that is nothing less than ‘wow'. 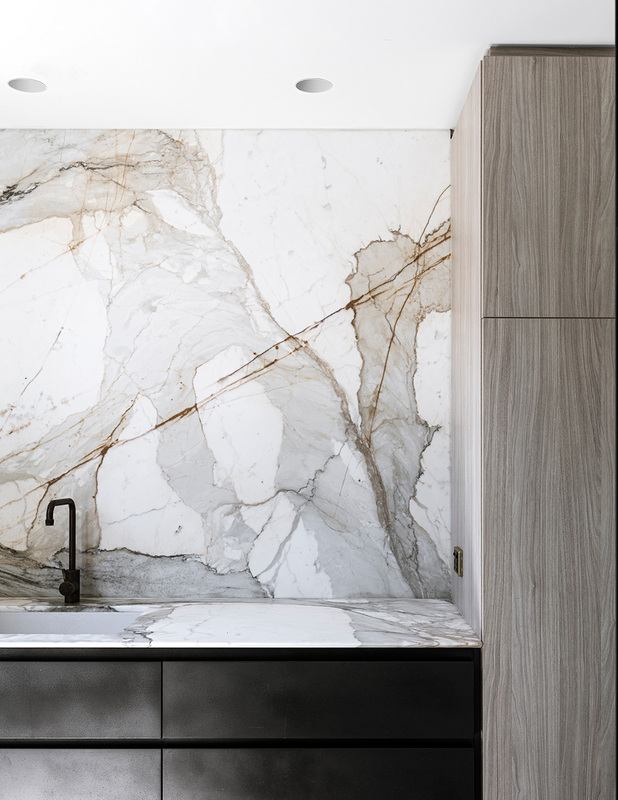 It’s no surprise that this project was shortlisted in the 2017 Australian Interior Design Awards, a finalist in the Belle Coco Republic Interior Design Awards and was voted House & Garden Top 50 Rooms. Axolotl’s Slate Concrete brings a rustic beauty to the project and is available in Pseudo Smooth texture shown here, as well as Lunar surface texture. It can be applied onto just about any substrate as well as designs with complex shapes and sizes. "We used the Axolotl finishes to imbue the warm minimalist style of the home with a subtle sense of luxury. The colour and texture of the Slate Pseudo Smooth concrete coating contrasted beautifully with the white walls, oak joinery and paonazzetto marble bench tops." - Tania Handelsmann of Handelsmann + Khaw. Handelsmann + Khaw's client states; "The Axolotl finishes throughout came up beautifully. We are thrilled with it all!" For more information on Axolotl Concrete please visit our showroom or website, or call the office today. Published on August 17, 2018 by Jackson Wicks.